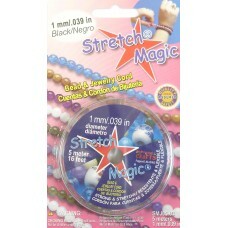 Spool of 5 Metres Stretch Magic Elastic Cord 1.0mm dia., black - strong and stretchy easy knot ..
1 Reel of Fireline Crystal braided bead thread prewaxed braided cord has a high strength, the c..
7 Strand Flex-Rite Stainless Steel Wire 0.014" (0.35mm) Pearl Silver 30', (9.14m). Breaking Strength..
Gimp wire (also known as 'French or Bullion Wire) is the fine coil of wire which you slip through th..
Gimp wire (also known as French or Bullion Wire) is the fine coil of wire which you slip through the..
Bobbin of Cream Nymo D useful beading thread (use with a needle) 72 yards to a bobbin. 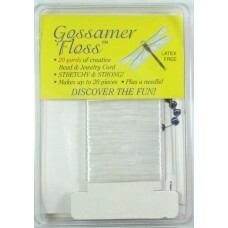 ..
Gossamer Floss with Needle - approx 20 yard/18.3 metres on card, approx. 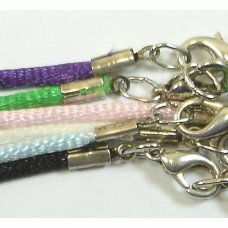 0.5mm; the soft textur..
10 Silvertone/Black Mobile Phone Charm Cords these are great to make as small gifts for friends or f..
Spool of Stretch Magic 3 Metres Elastic Cord 1.8mm dia., clear - strong and stretchy easy knot threa..
1 Reel of Fireline braided bead thread prewaxed braided cord has a high strength and the colour is s..
2 Rubber Glasses/ Spectacles Holder Silver Plated make your glasses a leash with these so youll neve..
1 Goldtone Tiara Base Create your own tiaras using these tiara bases using wire crystal and semiprec..
1 Black Oxide Metal Haircomb Comb black is a fabulous base colour for your hair jewellery make somet..
Bobbin of White Nymo D useful beading thread (use with a needle) 72 yards to a bobbin. ..
1 Reel of Beadalon Supplemax illusion cord. 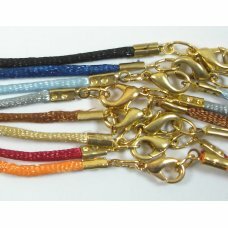 50m of 0.35mm diameter 7kg breaking strength (164ft 0.01..
10 Goldtone/Black Mobile Phone Charm Cords these are great to make as small gifts for friends or fam..
Bobbin of GreyBlue Nymo D useful beading thread (use with a needle) 72 yards to a bobbin. ..
1 Reel of Beadalon Supplemax illusion cord. 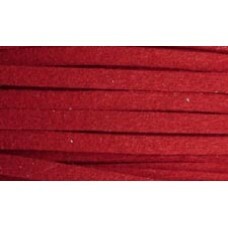 50m of 0.50mm diameter 14kg breaking strength (164ft 0.0..
Bobbin of Burgundy Nymo D useful beading thread (use with a needle) 72 yards to a bobbin. ..
1 Silvertone Squiggle Bookmark for Beads make a quick and interesting bookmark using a little wire a..
Bobbin of Soft Pink Nymo D useful beading thread (use with a needle) 72 yards to a bobbin. 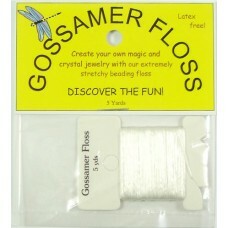 ..
Gossamer Floss - approx 5 yard/ 4.6 metres on card; approx. 0.5mm; the soft texture is ide..
1 Reel of Power Pro braided bead thread white 10lb test .006mm. (28 yards/ 25.6metres/ 84feet.) very..
2 Rubber Glasses/ Spectacles Holder Gold Plated make your glasses a leash with these so youll never ..
Spool of 10 Metres Stretch Magic - 0.5mm dia., clear - strong and stretchy easy knot thread, for str..
1 Silver Plated Curved Hair Comb make something gorgeous with Swarovski crystal and pearls freshwa..
1 Silvertone Tiara Base Create your own tiaras using these tiara bases using wire crystal and semipr..
1 Silvertone Bookmark for Beads make a quick and interesting bookmark using a little wire and your f..
Bobbin of Black Nymo D useful beading thread (use with a needle) 72 yards to a bobbin. ..
2 Plastic Side Combs excellent for bridal/bridesmaids/special occasion headwear decorate with ribbo..
Spool of 5 Metres Stretch Magic Elastic Cord 1.0mm dia., clear - strong and stretchy easy knot ..
5 metres Dusty Rose Pink Waxed 1mm Cord. 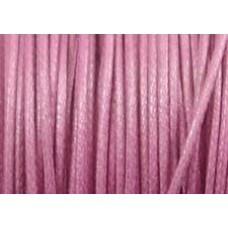 Beuatiful dusty rose cord perfect for your summer/girly jew..